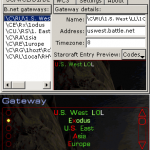 You can use this program to change your Warcraft 3 CD-Key without reinstalling. 1. Open the zip file and run cdkey.exe. 2. Click “Change CD Key”. 3. Enter your Name and the new CD key that you wish to use, and click OK.
1. Open the zip file and run FTkey.exe. 3. Enter your new CD-key that you wish to use, and click OK. There is no “Change CD Key” button? If you don’t see the Change CD Key button, that means you need to fix the registry. 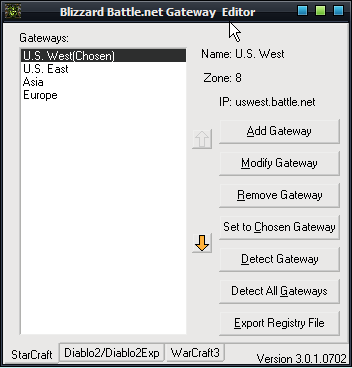 You can download the Warcraft 3 Fixer utility below to help. Just run W3Fixer.exe, click Fix, and select where your WC3 folder is located at (usually “C:\Program Files\Warcraft III”). Use this program if you need a Warcraft III Reign of Chaos or Frozen Throne CD key. You can only use these CD keys to play on Single Player; the keys do not work for Battle.net. This program will show what CD Key your Warcraft 3 Reign of Chaos/The Frozen Throne is using. Useful if you have lost your CD key. 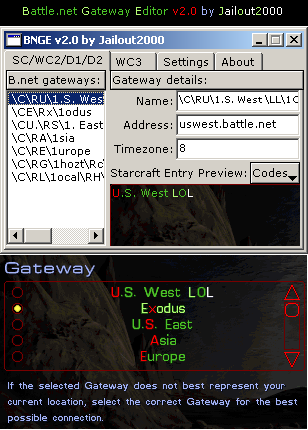 To use this, open WC3 first, click Local Area Network, and open the key grabber. Play Warcraft III Frozen Throne without a No-CD Crack! Install Daemon Tools, set 1 or more Virtual CD-ROM drives, and then Mount the Mini Frozen Throne ISO to a virtual drive that you created. TA-DA! Now you can play The Frozen Throne with no CD in your CD-ROM drive because it is in your Virtual drive! Note: This ISO is not a real Frozen Throne CD, thus it can’t be used to install the game. It is used to trick the game to think that the CD is in the CD-ROM drive.